We are committed to taking care of each single SAMU student. All our staff has worked in this field for many years and they themselves have the experience of studying abroad, so they know your needs and are willing to help you to make your study life smooth and problem free. Our faculty crew is a team with diversity in terms of age, gender and background. 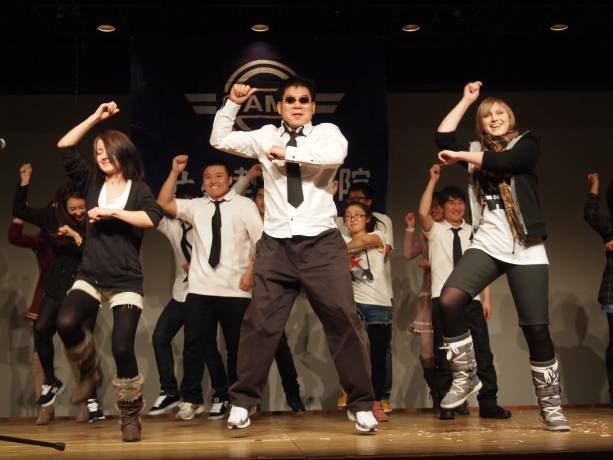 All our teachers are licensed and have experience in teaching Japanese abroad. Our passion and professionalism is the foundation to keep the teaching quality high and make the course both practical and fun. Bridge Academy, a group company of SAMU, is a recruiter company, providing free of charge professional support to our students in finding a part-time job: from CV preparation, job hunting, making a recommendation to interview training. For students with a bachelor degree, we even help them to find a full-time job after studying with us. 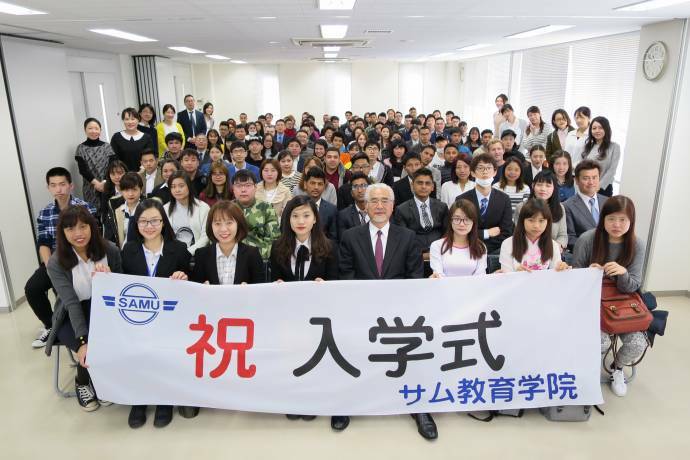 Located in Korean town, with a balanced mixture of Asian students, SAMU is a place where you meet Asian friends and practice Japanese with them. Long-term course on a student visa (half year - 2 years), starting 4 times a year (January, April, July, October), 20 hours a week, either morning or afternoon class. Application period: 6 months prior to the start of school term. Short term course (1-3 months) on other visas (tourist or visa waiver program), enrolling on the same schedule of long-term course, with one month application period. Available to intermediate level and above students, in which students are able to strengthen weak subjects, and prepare for the Japanese Proficiency Exam. Preparation courses for the Examination for Japanese University Admission are also available. 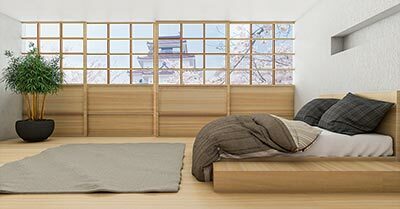 We have designed an academic year full of exciting events, from traditional Japanese culture experience like tea ceremony, flower arrangement, kimono trying, extracurricular activities like museum visiting; singing/sports/speech contest to BBQ and hot spring trips. We believe that study is for fun, fun is the best motivation to study well. SAMU language school strives to continuously evolve and provide the best education to our students. 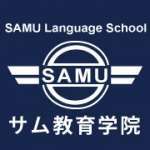 SAMU Language School has a long history as a Japanese school, created in 1986 to offer Japanese language education to the international world and to welcome students from all parts of the world interested in learning about Japanese language and culture. Students are able to enjoy a comfortable campus life in our brand new school building completed in 2012. The campus is located in Shinjuku, the center of Tokyo, 2 minutes walk from the Shin-Okubo Station, a popular Korean Town, where Japanese culture and Korean culture meet and mix. Libraries, banks, post offices, sports center, parks and public facilities are conveniently nearby. Students are able to experience culture exchange and use their Japanese skills with Japanese students from our sister school Bridge Academy. 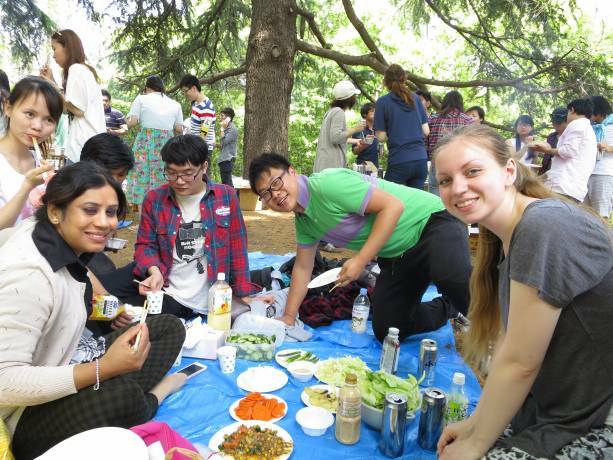 Communication skills are strengthened by interacting with native Japanese students through trips, culture exchange events, social gatherings and many other events. We invite students from all over the world to study with us. Applicants of both short and long-term courses from DreamStudies are entitled to a special discount on tuition if they submit an information request on this page. We look forward to the wonderful encounter with you on our campus! Fill in this form to get more information about the courses and application to SAMU Japanese Language School. You can also ask questions to the school here.